The Indonesian Government is grappling with a measles outbreak in the Papuan district of Asmat, where at least 65 children have died since the epidemic began in October. Almost 600 people, including adults, have been treated for the disease in the remote highland district, with hundreds hospitalised in the district’s capital, Agats. Many are also reportedly suffering from malaria and severe malnutrition. Criticism levelled at the government has not been taken well. Papua has always been a sensitive issue, primarily due to region’s separatist movement, but criticism has now extended to the efforts of the Joko ‘Jokowi’ Widodo administration to develop the region. The local immigration office detained a BBC Indonesia journalist, Australian Rebecca Henschke, after she tweeted photographs from Asmat. Henschke was ordered to leave the province, and her passport was confiscated, after allegedly offending the feelings of soldiers assisting the Asmat relief program. Unfortunately, the aid is probably too little, too late. 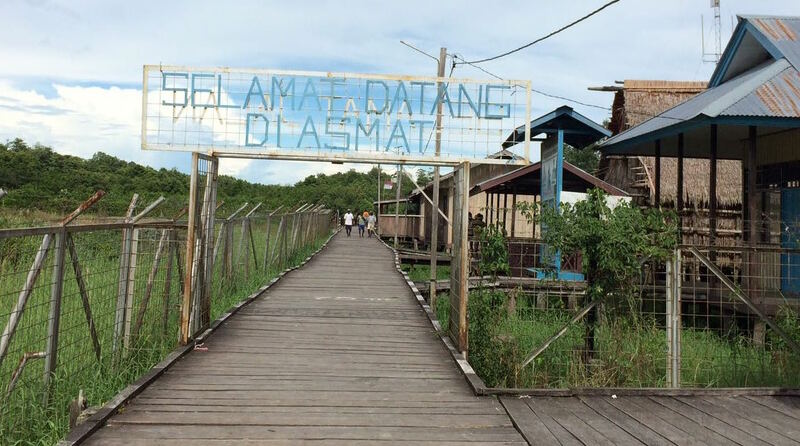 After news of measles-related deaths broke into the mainstream media in mid-January, the military, Ministry of Health, and Coordinating Ministry of Human Development and Culture quickly dispatched medical teams and food supplies to Asmat. Humanitarian workers say health problems have long been evident, and that the government simply choses to look elsewhere, focusing on quick-win solutions to gain political favour rather than on long-term development. Measles vaccinations are freely available to all children at community health centres across Indonesia, but coverage is low in Asmat. This is not only due to the region’s geography, with many facilities accessible to villagers only via long and expensive speedboat trips, but also to a lack of qualified health workers. Mobile health facilities and village-based vaccination clinics are rare, and locals complain that health workers rarely show up to work. Many are not provided with adequate housing and are forced to travel up to two hours each way to and from work. Others refuse to live nearby because of a lack of security; inter-family and inter-tribal conflict is common across the province. Even when staff do make it to the health centres, opening hours are short and medicines are limited. “Only some of the 16 community health centres in Asmat have doctors,” the development worker explained. “It is difficult to reach many of the centres – you have to travel by boat … But the decrease in health services is caused by many factors, including low health worker competencies, lack of budgetary transparency, and [lack of] data.” She also commented that the Asmat District Health Office works slowly and inefficiently, with many of its staff uninterested in their work. Papua and West Papua continually place last in Indonesia when it comes to human development, despite large local budgets resulting from the regions’ special autonomy. Major infrastructural improvements are underway, such as the Trans-Papua Road and multiple new seaports and airports. But public services, such as health and education, remain of poor quality. Asmat has a Human Development Index (HDI) ranking of only 47.31, placing the district below Afghanistan (47.9) and just above the Democratic Republic of the Congo (43.5). The national government has placed a priority on developing remote regions, such as Papua and West Papua, under the Jokowi administration, and the two provinces have significant annual budgets. Papua Province alone has a budget of IDR 56.85 trillion (approximately US$4 billion) in 2018; 25% of that goes to the provincial government, with the remaining 75% transferred directly to districts, cities, and villages for their own use. At a press conference in January, the Ministry of Health’s Head of Public Services, Dr Oscar Primadi, blamed Papua’s situation on its uniqueness. 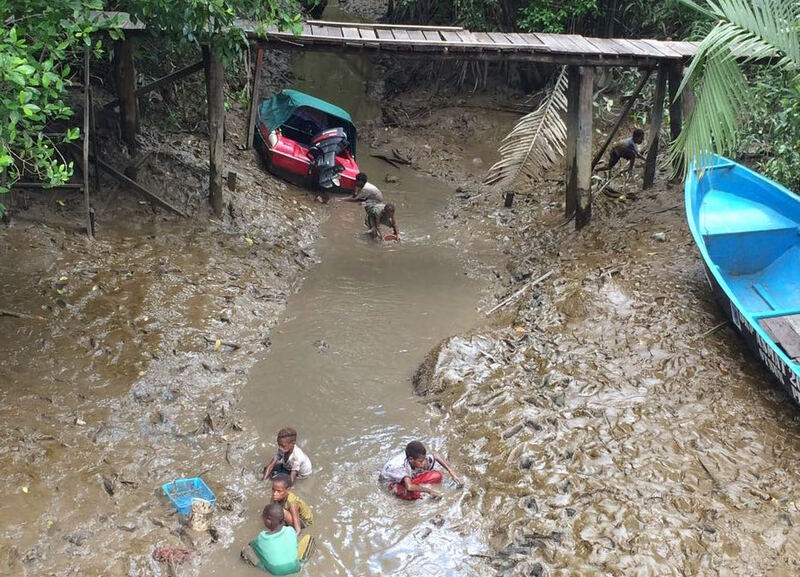 “Residents are spread all over the place in Papua,” he said. “The social, cultural, and geographic sides [of Papua] are problems in themselves.” Dr Primadi also stated that many Papuans refuse to visit health centres or vaccinate their children. Worryingly, Jokowi appears to agree, even suggesting in January that villagers should be relocated to Agats rather than continue living traditional lifestyles. His argument is that they would be able to access services and facilities more easily in the capital. There is not enough awareness-raising from health workers. The people do not know about vaccinations, so it is normal that they are afraid. It takes time, and health workers must be patient and help build understanding. Where are the programs that do this? There aren’t any. 70% of the blame lays at the feet of the government. Immunisation is the government’s responsibility. While there may be significant focus on Asmat at the moment, this is not a one-off occurrence but a long-term problem across eastern Indonesia. The same health problems have killed almost 30 people in the Bintang Mountains Regency, approximately 300 kilometres from Asmat, while 16 other districts have been named by the Ministry of Health as having the pre-conditions (measles and malnutrition) for similarly high mortality rates. While there is no denying that providing services to residents in remote locations is difficult, the government plainly needs to reassess its development priorities in the coming months.